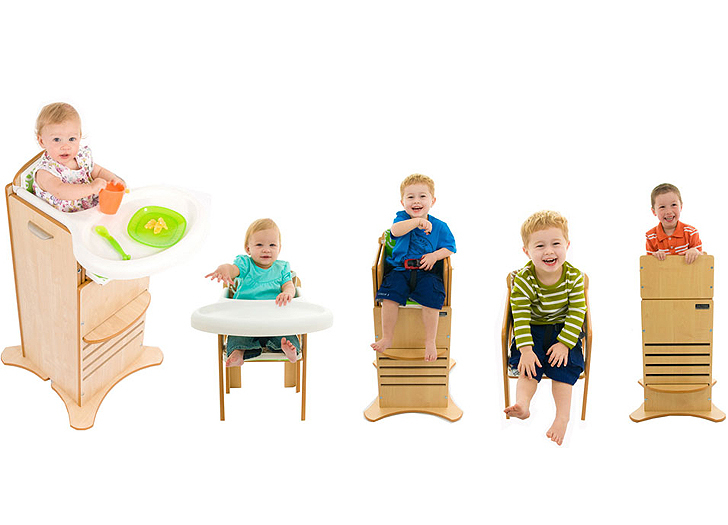 Luca & Company’s new FunPod HighChair evolves right along with your little one! The modular chair transforms from cozy high chair for your baby to comfy wooden chair perfect for your toddler, and everything in between! 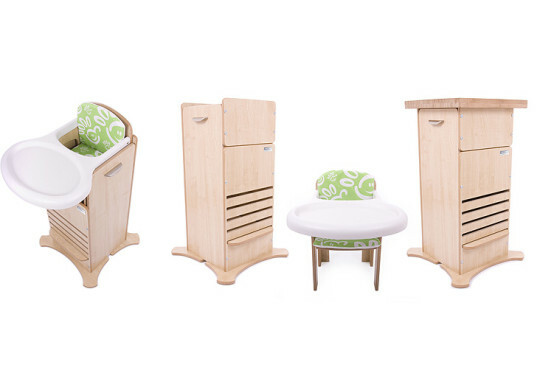 The FunPod is the only furniture you’ll need from age one to five, saving both money and the environment as you reuse it again and again as your child grows. We all know our kiddies grow like weeds, but what if their furniture could grow along with them? That is the philosophy behind the FunPod, to reduce our need to purchase superfluous gear while still providing safe and stylish furniture for our children. The first step, high chair, is perfect for when baby starts to wean and is ready for baby food. The chair can be converted from high chair to low chair with tray, suited to both baby and parents’ comfort. Without the tray, the FunPod becomes a comfy low chair for reading, or an elevated chair for sitting at the table without a booster seat, for kids up to age five. Older toddlers can use the FunPod as a safe step stool, for use in the kitchen or for reaching things in the playroom. The platform has easy to grip sides in case your little one loses his balance. Each FunPod comes with a reversible washable cushion in hues of lime and caramel, a safety harness, an easy clean tray that locks into place, foot plate, and can be adjusted to five height settings. The FunPod HighChair even ships sustainably in a flat pack! Luca & Company�s new FunPod HighChair evolves right along with your little one! The modular chair transforms from cozy high chair for your baby to comfy wooden chair perfect for your toddler, and everything in between! The FunPod is the only furniture you�ll need from age one to five, saving both money and the environment as you reuse it again and again as your child grows.